What happened when Team OS took on the 56km London 2 Brighton Challenge? Today’s guest blog comes from ‘Team OS’ – Tara Anglim, Rick Hunt and Andy Carlisle, who walked the 56km London 2 Brighton Challenge on Saturday 24 May to raise money for Alzheimer’s Society. Over the Bank Holiday weekend, we joined 3,000 others in tackling the London 2 Brighton Challenge. We’d heard that it would be gruelling, but we fancied a challenge and a chance to try out our new Event maps. After leaving home at 5am to get to the start point in Richmond, we set off on our 56km challenge at 8am. The first 10km or so was lovely. We walked beside the Thames and enjoyed the scenery, including canal boats, canoeists, and houses on the waterfront. It was so lively that the time flew by. GeoVation thrives on the collaboration, networking and feedback of its participants and other stakeholders – and GeoVation challenges and the challenge process are developed from that feedback. Indeed, this alumni network is based on just such feedback. Our objective is to better support our finalists’ and winners’ ventures to grow beyond participation in just the challenge process itself. 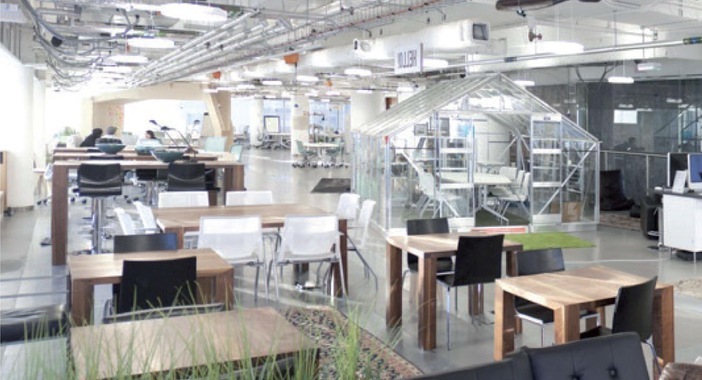 As part of this, we are delighted to work with the Impact Hub Westminster to provide all our finalists and winners (wherever, they live) access to the Hub Connection virtual network; its support, knowledge, skills, experience and wider membership. Based on feedback we have put together an interesting mix of requested workshops, discussions, hands-on time and of course, opportunities to network. Each year our staff vote for a corporate charity to support and put all of our fund-raising efforts into. This year, since April, we’re supporting Southampton Women’s Aid, and for the previous 12 months we were supporting the local Solent Region branch of the RNLI, raising £7,734.90 over the course of the year. 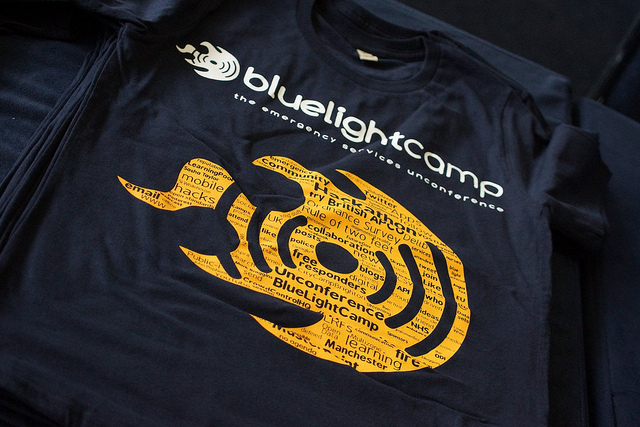 On 10 and 11 May 2014, we’re hosting BlueLightCamp at our Southampton head office. The unconference and hackathon for blue light services is in its third year. The event see attendees bring challenges they’d like help overcoming, ideas they’d like to explore, and many bring along their skills and expertise to help others. Christine Townsend from MusterPoint, tells us about her BlueLightCamp experience. As a part of the 50th anniversary celebrations of the British Cartographic Society, we announced a paid internship with our Cartographic Design and Development team. We’ll be at The Telegraph Outdoor Adventure & Travel Show at London’s Excel Centre from today until Sunday 16 February. It’s a huge event, combined with the Bike Show, Triathlon Show and International Dive Show (Saturday and Sunday only) and you can find us on stand AT210, right on the front row. Last month Paul in our Cartographic Design team attended the British Cartographic Society’s (BCS) Annual Symposium entitled Today, Tomorrow and Beyond. 2013 celebrates 50 years of the BCS and to celebrate the symposium was once again held in Leicestershire where the first symposium was held back in 1964. Find out what happened at the event. The symposium saw a number of cartographic professionals and enthusiasts come together to hear and participate in a range of presentations and workshops. The symposium was officially opened by current President Peter Jones. As part of his opening speech he revealed this year’s ice breaker which was provided by us at Ordnance Survey. The ice breaker was called the The Naked Landscape and involved the identification of 25 different locations using 1:25 000 mapping which had the text and some selected features removed. The prize for winning was a prestigious Ordnance Survey Custom Made map. Wednesday was the highlight of the symposium and opened with an excellent presentation session on Mapping Technologies for Tomorrow with presentations from Leica Geosystems, United States Geospatial Intelligence Foundation and the UK Hydrographic Office, before moving on to workshops. Paul attended Mapping the Swiss Way led by ESRI Switzerland where they were given a short insight into how the Swiss National Mapping Agency (swisstopo) is using ArcGIS to produce their new 1:25 000 national mapping series. This week we’ll be supporting the Young Rewired State’s Festival of Code 2013. It’s the fifth exciting gathering of talented young coders, designers and developers – all of whom are under the age of 18. Our developer outreach team will be supporting the event by offering mentorship to some of the teams that have entered the competition. So, what is the The Festival of Code? Essentially, it’s a week-long hackathon for young people, taking place in various centres throughout the UK. From Monday through to Thursday, young people are gathering to learn how to code and how to program the world around them. They’ll be working on creating exciting new apps either individually or as part of a team, with the week building to a crescendo, concluding in a spectacular showcase weekend at the Custard Factory in Birmingham where the participants will present – and be judged on – their amazing achievements created during the week.